The Sofia 2 Lyme Fluorescent Immunoassay (FIA) uses advanced immunofluorescence-based lateral-flow technology to provide rapid differential detection of human IgM and IgG antibodies to Borrelia burgdorferi from finger-stick whole blood specimens from patients suspected of B. burgdorferi infection. 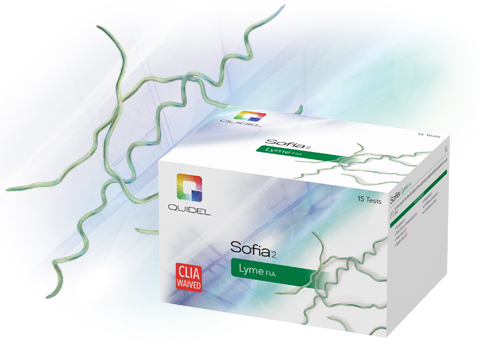 Sofia 2 with Advance Result Technology (ART) delivers accurate, objective and automated results in as few as three minutes, allowing Lyme testing to be performed in near-patient testing environments. No refrigeration space needed. No need to wait for reagents to warm up. Rapid Lyme tests can be run immediately as needed.